The Q-See HD IP kit may be the hottest budget product around. 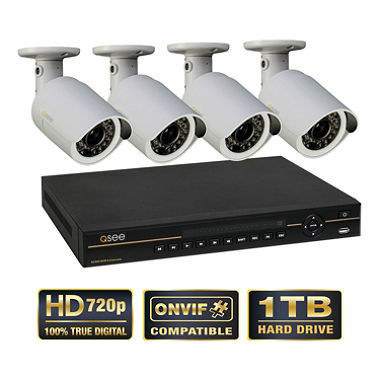 At just $699 online for (4) 720p HD IP IR cameras plus a 1 TB NVR with a built in PoE switch, it is an absurdly inexpensive. It is hard to buy a single low cost NVR unit for this price, forget about getting 4 HD cameras thrown in. But the big question is - how good is it really? How much do you lose by not going for a 'professional offering' like Axis + Milestone or an all Avigilon solution or Arecont + Exacq? We bought a kit and spent the last few weeks testing out both the NVR functions and the camera performance. *** *-***** ** ****** ** *** ******* ****** ******* ******. ** **** $*** online *** (*) **** ** ** ** ******* **** * 1 ** *** **** * ***** ** *** ******, ** is ** ******** ***********. ** ** **** ** *** * single *** **** *** **** *** **** *****, ****** ***** getting * ** ******* ****** **. *** *** *** ******** ** - *** **** ** ** really? *** **** ** *** **** ** *** ***** *** a '************ ********' **** **** + ********* ** ** *** Avigilon ******** ** ******* + *****? ** ****** * *** *** ***** *** **** *** ***** testing *** **** *** *** ********* *** *** ****** ***********. *** ***'* *****-** **** **** *** ****** ******, ****** ********** cameras ****** ***** *****. **** *** ******** **** **** *******, ** *** *********** ** local ** ***, ****** ***** ****** ******* ** ** **. *** *** ************* ******** *** ********* ******* ******* **** *** built-in *** ****** (**** *-***/***** ** **** ** *** ***** cameras *** *****/**** ). **** *** ********** ********** ** ** is ** ******** *******. ****** ***** ********* ****** *** **** ******* *** ****** ***** ****. ***** ** ** ********** **** **** *** be **** ** * **** **** ***********, **** ***** ********** only ********* *** *** ***** *******. ***** **** ********* *** ****** ** *** *** ***** ***** and **********. *******, *** **** ** * ***** ******** *** a ****, **** *** ***** ***** ** ** *** *** the ***** ***** *** ** *********** **** *********. *** *********: ***** **** ********** *** ***************, ********* *** ***** limitations *** **** ** *** ******** ******* *** ********* / uncommon. ****** *********** ** *** **** ***** *** **** **** ** cameras ** **** *****. ** *********** *********** ** **** ****** *** ** ******* ***** blooming ** ************. *******, *********** ********* ** **** ****** **** ***** clearly *** ***** ************ *** ******** **** *******. *-***'* *** **** ** ***** ********* ***** ** ***********, **** in ***** ** ******* *** *****. ****** *********** *** ****** to ~**'. ********* *********** *** *********** *** ** *** ** ****** **** brand **** ***********. *-*** **** ******* *** ******* *** ********** *** ***** ************ and ********* ********* *** *** *** ******** *********** ********* (**** using *****). *-*** ************ **** *** ******* ********* ** *** ******** *** at ********* ****** **** ** ****** *** ***'* ****. "******" price ** ~$*** ***, *** *** **** ****** *** **** recorder *** ***** ** ***** ** **** ***$***. ********** ******* *** ************* *** $***. ** $*** *** *** **** ****** ***, ***** *** essentially ****** $*** *** *** ***. ***** **** *** **** *********, ********* ******* ****** ****** **** ***, *** * *** **** ***** ****** ******* *** * ***, *** *****. *** ********* **** ********* **********, ********** ** ** ** *******. **** ** ** ********** ******** *** ***** ******* ***** ** systems ** * ******. ** ******** ***** ********** (***** ** PoE ****** / ********* ****** **********) **** ** *****, *** party *******, *** ** ************ ** * ************ *** *****. There's ** ***** *********** **** ***** ****** **** ** **** that ***** ***** ** ****, ****** ** ***** ** *************. You ***** ********* ***** ***** ******** *** ** ****** ** triple *** *****. *** ***** *-***'* ******* ** *****, **'* not ** ** *** *** ******* *** ***** *** ***** on **** ***. *** ******* ******** *** *** **** ******** ***** ** *** rudimentary ****** / ************** / ****** ********, ***** **** **** the ****** ********** ** *** ** ******* ********* *****. ****** ****, *********, ** *** *** ** ****** ******* **** need **** ********** *************, *-*** ** ****** ** ******* *** for ******* ******* *** * *** *******, **** ** ***** attractive. *****-** **** **** *** ****** ** **** ** ****. ****, ***, *** ********* ******* *******. ** ***** ******, * ***** *******, ***, *** ***** **/*** connection. *** ******** *****, *-***, *****, *** * ***** ********* ** manufacturers (****, ****, *********, *** ****). ******* ********* ******** ** *** **** ** *** *** *** automatically **********, ** **** ** **** *** *** ** ****. ***** ******* ** *** *** *** ************* **********. ****** ******* ** ********* ******, ********* **** * ****** ****, username, *** ******** ****, ****** ********* *** ********* **** * few *******. ******* *** ***** ** *******. ***** *** ***** ******* ** *********** *** *** *******: *****, front *****, *** ** ******. ********* *** *** *********. ***** *******:***** * ***** ** ** *** *** ******* ****** ** local *******. ****** ** ******** ****** *** **-****** ********, ********* is **** ******* **** ***** ***** **** ** ******** ******* via *** ***** *** *******. ***** *****/** ******:*** ***** ***** ******** *** ** ****** ******* *********** *** same, **** ***** ****, ** **** ** *****, ********, *** escape ****. ** ***** ***** ********* ** *** ******* ** was *** *********** ***** ** ********* ***** *** ***** ** a ******** *****, *** **-****** **** **** *** *****.  ** ***** ** **** *** *********** ** *** ******** **** bullet ******* (*-*** ********), ** **** **** *** ******* *********** low **** ******, ********* *** **** *** *** ***** ***** IL10. ** **** **** *** **** ***** ** ******* ******* a ******** ********. ** **** *****, *** ******** ******** ********* ** ***** ***-**** cameras, **** ** *** **** *** *** ***** ***** ****. Details *** *****, **** ****** ***********. ******** ****** ** ***** ** ***, *** *-*** ****** ******* relatively *********, ***** *********** *** ***** ******** ** *** *** and ****, ******** ******* ********. *******, ** *** ****, activated (***** ******* **** ***** **** **** ** ************), ****** illuminating *** ******* ** ~**' ******* ****** ******** ** ************. However, *** ******** ** *********** ****** *** ***** ** *** subject ** *******, ****** *** ***** ** ***** ******* ** line *. *-*** ****** "*** **** ** ***** ******" ** ***** ********* for ** ********. *******, ** ***** *********** *** ****** ** about **', ******* ** ***** ***** ******* ** **** ******. Notably, ***** ****** **** *** ** ***** ** *** ***-*****, the ***** *-*** ******** ** *** ********. ** ***', *** ******* ** **** ********* ***********, ** ****, with **** ********* ********. ** ******* *** *******, **** * moving ****** ** *****. **** ** ~**', **** **** **** *** ******* *****, **** the ******* ****** ******* ***********. *-***'* ****** *********** ****** **** ********** **** ***** ***** ** cameras. ********* *********** *** ******* ** **** *** ********** *** superior (*****) ** *** *** **********, ****** ** ***** ********** IR. ** **** *****, *** ******** *** ******* ********* *********** ******* to *** *** **** **** ***, *** ************* ****** **** the *****. *******, ******** *** ****** ** ~** ***, ***** ** ** turning **, *** *********** ** ****** ***** **** ****, *** almost * **/* ***** **** *** ***. ** *** ****, *** ********'* ** ************ ***** *** ********* relatively ***, ***** *** ***** ***** ************* (** **** ***** level, *** *** *** ****** *****, ** *** ********* ******** low). **** **** ***** ************ **** ***** **** ******* ********, ***** VBR *********** **** ** *** *** *** *-***** *** ******. Compression ****** **** **** *********, ** ****, *** *** ******** between **-**. ***** ******* ** ********* ******* ** * *** ******* **** dealing **** *** ********, ** ********* *-*** ********* ******* ******** times, **** ********* ******* **** ***** ** ********. ** ******* questions, **** ** *** ** ****** ***** ** ******* ********, their ******* *** ******* *** ****, *** ******** ** *** email *******. ** **** ******** ******, **** ** ********** ***** cameras ** ********** ***** ****** *** ***** ** * ***, they **** **** *******, ****** ***** *** **** ******* ****** knows ******* ** ***** ******** *********. *** *** ****** ****** of *** ***** ***, *-***'* **** ******* ** ****** **** than **********. Thanks for a well written and thorough review. Another interesting dimension might be the remote access options. It would be interesting to see how useful these remote access options are. For example, does Windows and Mac "System Compatibility" mean remote clients under these operating systems? Or does that just mean open a web browser? Also, one wonders what sort of operations might be possible under remote access. For example, could remote access with a keyboard-enabled device be an improvement over the noted local input options of mouse, front panel buttons, and IR remote? In our experience with analog Q-See, EyeMax, and ADT DVRs, while local search and investigations are nothing to write home about, the same functionality through remote access varies from even less useful to impossible. Does this system follow suit? Also, our analog systems provide relatively high fidelity local storage while enabling more remote frame rates, automatically matched to available bandwidth. ADT claimed (but never supported) the ability to copy store video files to a remote location, a critical capability when the home office is a substantial distance from the monitored site. I would expect these to be standard capabilities, but one always wonders. Sorry, meant to say, "...relatively high fidelity local storage while enabling more austere frame rates automatically matched to available bandwidth." Horace: Thanks for the comments. Yes they do have a browser option, I tested with IE10 (also tried 8 and 9 with similar problems) and only with their tech support's help was able to bring up the client to show all options with the EXCEPTION of Search capability for investigations. For Mac and Windows they do offer the full client, not just browser support- in the video above I show the PSS client running in Windows 8 (requires compatibility mode for Vista or XP to work). Great detailed report as usual! Seems like this would be a good entry level HD kit for a homeowner. I do wonder about the difficulty in retrieving incident video footage though as the navigation seems a bit awkward. Still, an HD kit with 4 cameras and NVR for less than $1,000 is really breaking a barrier. Hopefully, they will improve the navigation a bit in the future. Great review and thank you. I enjoyed the format that you used to present the materials. Very informative and as we discussed at our office here, we were surprised with the findings. It would appeal to a big part of our client market. Question on mouse control. Wondering if I could use my wireless mouse AND keyboard via a USB extension. Allowing both to have an access port. Did some searching and found this at CostCo with a few reviews that is additive information. Also a QSee Installers WEBsite with a 'Tip of the Week'. That appears useful. Includes QSee Notes with more information. First Note. "Is it legal to........."
The Miami prosecutor's office says they had trouble exporting video from a Q-See system. In, fact they could never figure out how to export it at all. Were there any weird processes or issues you ran into exporting? What did the Q-See reps have to say about exporting? The exporting to AVI file (using PSS thick client) was readily available and quick to export, but finding the recordings was so difficult and time consuming. I was at my wits end and Tech Support tried to help but we didn't get anywhere with a resolution. We set all cameras to record always, but always encountered a network reading error of some kind when searching for DevRecord files, local recordings search at least returned more than one result. Also, wondering if the Miami prosecutor's office actually used the browser based version where I could not get the SEARCH menu option to load at all! I don't think it can be stated enough how big a factor it is to be able to efficiently find and export video, especially since I'd venture to say for what the system is, it's proabbly less than 2% of the time video is being watched. Being able to go back on recordings and saving them if you need are paramount. ... easily reviewing recorded video and exporting is 2/3 of what's important. Are you going to leave the system up and running to see if and when components fail? * The IL10 has a 1/6.9" sensor. That's why the low light performance is awful. * A lot of the enterprise level IP cameras I have evaluated have static IP addresses preassigned at the factory. That just complicates installation. It sounds like QSee at least thought about that by using DHCP, even for such a small system. Jeff, we did a full test of the IL10. While that Pelco does have a 1/6.9" sensor, it performed fairly equal to the ACTi D11 with a 1/4" imager. Sample size: We have 1 kit so regardless of whether it fails or does not, we can not draw any meaningful comparisons over reliability from that. We have already been running it about a month so it's passed the point of any DOA or immediate problems. Note: QSee has released new firmware today to address the reported bugs with web client and the thick client playback issue. We have not tested them yet. This NVR and cameras are not QSee they are Dahua, I have used them for over three years and they have a very good track record so far with a three year warranty. The videos above do not do justice to the software at all. The users do not know how to use the system. Retreiving video is very easy and can be done on the NVR, thru the web browser or PSS software which can show up to 64 cameras, so I do not know why anyone would have trouble finding anything. They have several remote apps which are free and one that is a paid app which is a pro version. The pro version supports push notifiaction so you are not waiting on a text or email for remote notification. Authorized Dahua resellers regularly sell entry level kits in the $700 to $1000 dollar range. Mike, the units tested are OEMed from Dahua but they are marketed, sold and supported by QSee. That's why we used the QSee name with references to QSee/Dahua in the test. We've also tested Dahua branded cameras here. I am glad to hear that you have an easy time using the software. We did not it, specifically search, and the report reflects our experience after speaking extensively with QSee support.